Nick Bulleid is an independent wine industry consultant, providing advice on winemaking, blending, marketing and vineyard development. He also works with regional vigneron and winemaker associations on issues of quality and style, mediation and as an expert witness in legal cases involving wine quality and value. He was for 13 years a Visiting Professor at Charles Sturt University, Wagga Wagga, teaching wine evaluation in the School of Agricultural and Wine Sciences. He also writes for several industry and consumer publications. 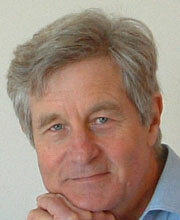 He is currently editing a textbook on practical winemaking, to be published by Wine Publishers, Adelaide, in 2013. Nick regularly judges at several capital city and regional shows in Australia and New Zealand. He has chaired the Australian Society for Viticulture and Oenology’s Wine Show Committee, which is seeking a national approach to improving wine shows, and remains a member of the committee. Nick is a director and shareholder of Brokenwood Wines Pty Ltd and for five vintages shared the winemaking duties. He currently selects wines for virtual wine producer BackVintage Wines which has achieved considerable success. He lives with his two sons in Canberra, travelling to the chilly Southern Tablelands of New South Wales where he manages his own one hectare Hatherleigh vineyard and tries to coax Pinot noir to ripeness.